Ciao lovelies! 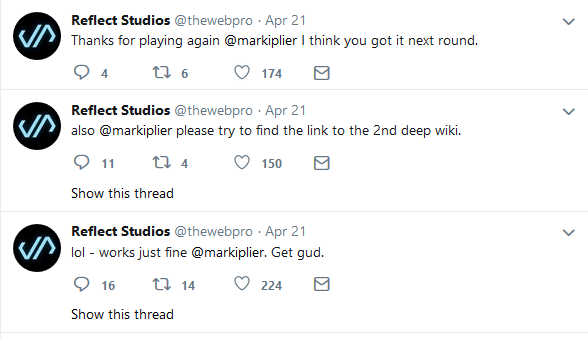 Today, we’re covering the recent news surrounding Markiplier and Reflect Studios, the dev’s who made “Welcome to the Game” and “Welcome to the Game 2”. The reason why we’re positng today instead of our usual schedule is because I consider this to be breaking news that needs to be posted ASAP. First, to begin, I need to get this idea out there so nobody takes this whole thing the wrong way- please do NOT send hate to the dev’s. The final conclusion of this post (down below) is NOT meant to be taken as 100% fact, it is just a theory based off marketing principles, as I am currently in school for Marketing and find this whole thing fascinating. Second, yes, some of the ideas in this post are a little contradictory of my past and also certain past posts- I have developed new opinions regarding old matters and have grown and changed, as many of you also have. Let’s get into it now, shall we? Ones in which they seem to be both helping and baiting Mark. Now, as far as I know, Mark hasn’t commented on this yet (as I am writing this). Many people want him to apologize for his comments. Personally, I view this as a negative review. Markipler played the game over and over and over, didn’t like it because of the mechanics and how hard it was, got angry and made some comments, kind of like those in a really angry negative review. Having gotten negative comments and hateful comments before, though, I can tell you that Reflect Studios’ responses seem like they are milking the situation to increase sales and potentially get this issue brought to mainstream attention. Now, this is just my personal opinion, and I’m not really siding with anyone on this post, this is just a news post. But it does seem like a smart marketing move to become upset by this. The way I see it, the devs had a few options in how to respond to Mark’s comments. 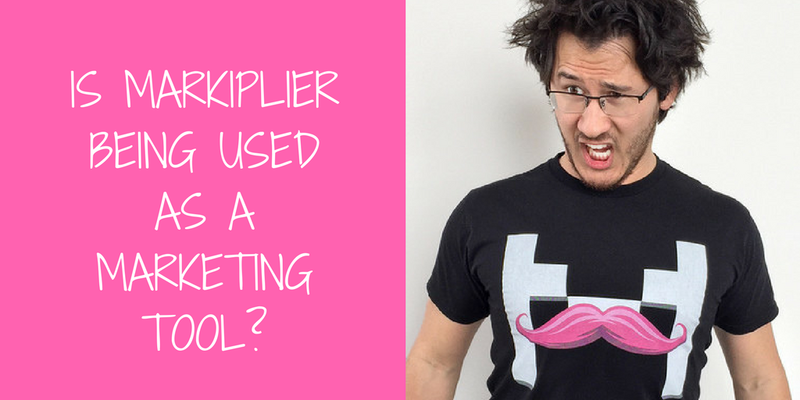 Option 1- Continue baiting Mark/the viewers, maybe make a comment saying “Markiplier can’t beat our game, can you?”, some kind of bait to encourage the audience or even Mark to keep playing… OR…. Option 2- Get offended, make a series of tweets about how offended they are, get the sympathy/support of their followers, divide gaming fans on the issue, get the issue (and therefore, the name of their game) out to the public, get more sales. And in my opinion, they took Option 2. Which, by all accounts, is actually a clever marketing move. 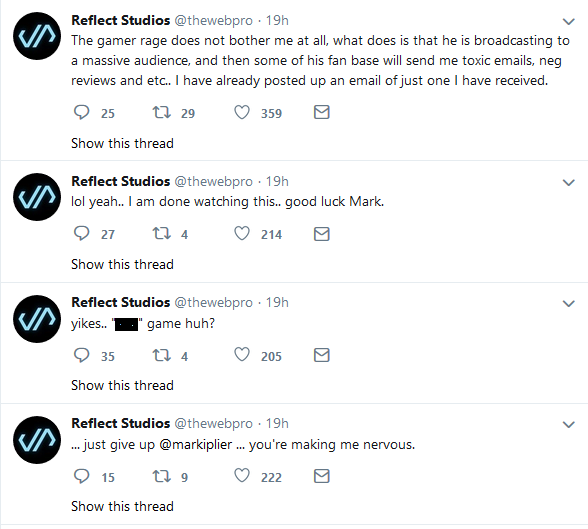 Sure, some of Mark’s fans will come after them, but if they can push this issue onto mainstream news sites, their game’s name will become a hugely recognized one. What do you think about all this? Who do you side with? I’d love to know your opinions about this topic. Do you think I’m right about the dev’s intelligent marketing? Or do you think I’m wrong? Let me know!